English Language Courses - Last chance to book for JULY! LAST CHANCE TO BOOK FOR JULY'S ENGLISH LANGUAGE COURSES! 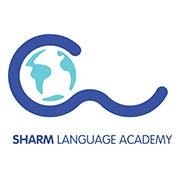 Sharm Language Academy's next English courses begin on 5th July. Qualified native English speaking teachers, great curriculum, innovative lessons and clear structure. 4 week courses with 6 hours of study per week. For more information, to book a course or to arrange a test please contact us! This Ad has been viewed 577 times.